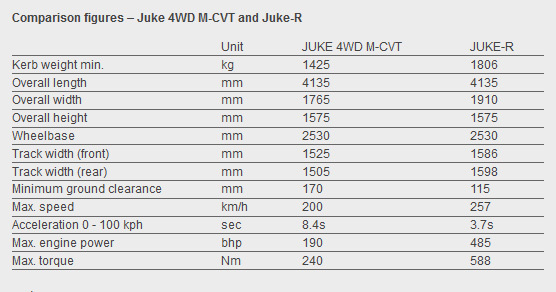 The Japanese people from Nissan released new details and performance figures on the Juke-R concept, a powerful and aggressive version of the standard Juke. 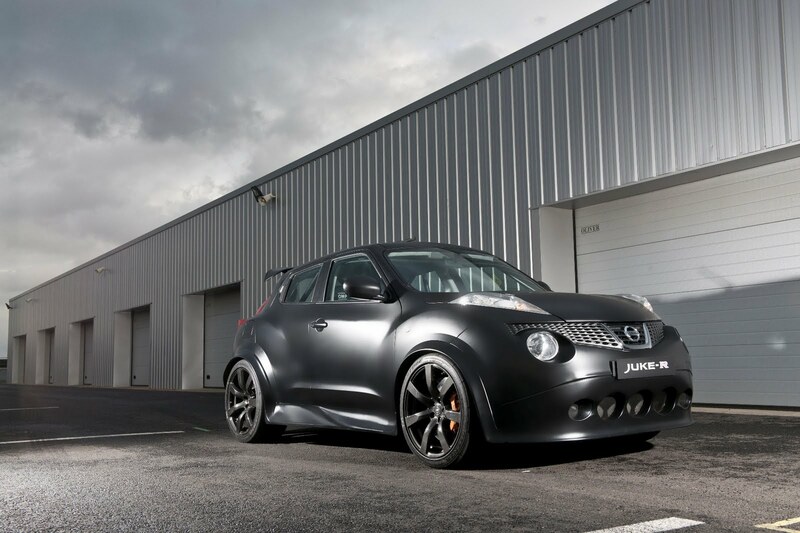 The Nissan Juke-R concept sports a wide body kit with new front and rear bumpers, extended wheel arches, side skirts and also a new set of wheels. However, the strong point of the Japanese model is hidden under the hood. Of course, we talk about the performance of the model, Nissan confirming that the 3.8-liter V6 engine borrowed from GT-R is able to deliver 485 horsepower and 588 Nm of torque. With such resources, the acceleration from 0 to 100 km/h is achieved in 3,7 seconds while the top speed is rated at 257 km/h. Inside, Nissan fitted a roll cage for increased safety but also revised the chassis in order to behave well considering the power increase. 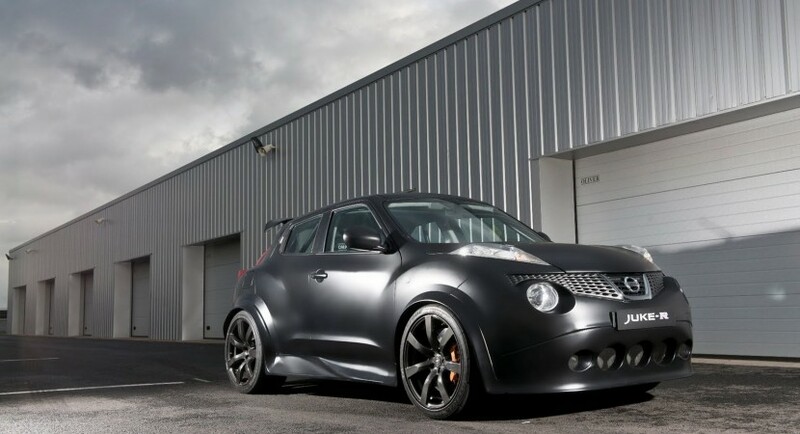 The concept model is around 400 kilograms heavier than the standard Juke with a total of 1800 kilograms. 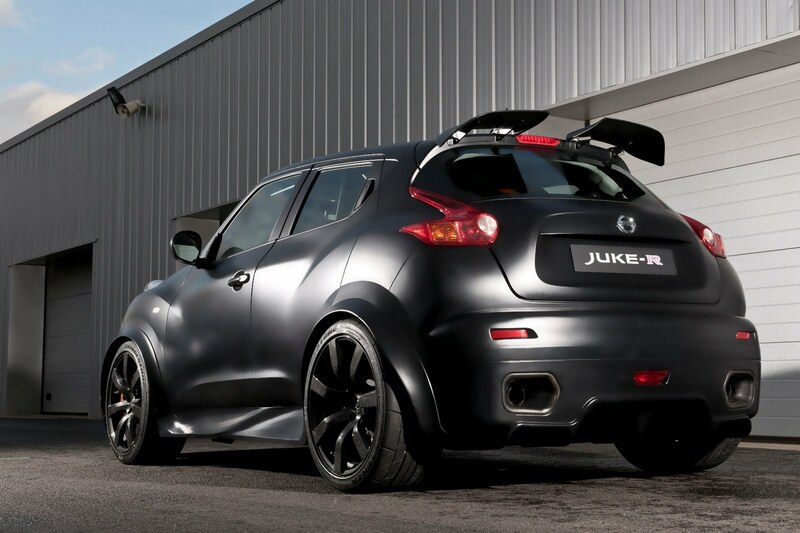 If you want to find more about the Nissan Juke-R concept you can check the specification list posted below where you can find all the important information.